Open Frame Racks provide simple, low cost mounting means for rack-mount equipment in IT environments. 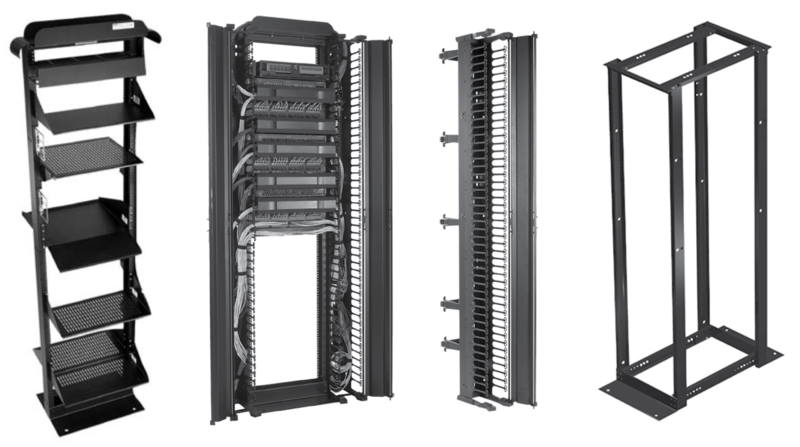 Ideal for cabling, networking and telecom equipment where security at the individual rack level is not required, open frame racks provide unobstructed airflow and fast, easy access to installed equipment. Customers can choose either the open frame rack with square mounting holes or the open frame rack with threaded mounting holes for networking and telecom applications. These are available in 2-post and 4-post styles. The open frame racks are available with many options for cable management.